VVIP package includes fast track entry, preferential seating, complimentary drinks on arrival and much more! 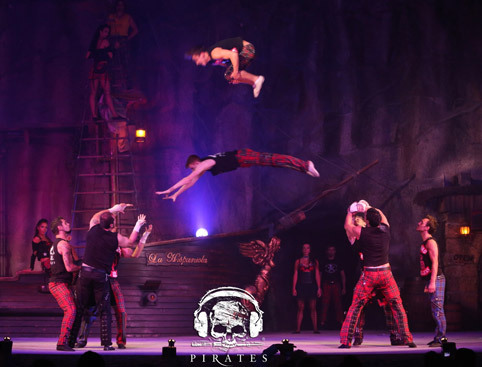 Experience the adults-only Pirates Adventure Reloaded show in Magaluf, Majorca! Get closer to the action with Quarter deck seats – the best in the house! VIP package includes fast track entry, preferential seating, complimentary drinks on arrival and much more! Complimentary photograph in the training tent with cast. 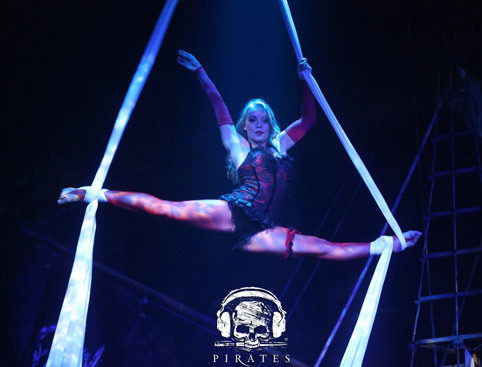 Pirates Reloaded is an adults-only show and is unsuitable for children. There is no meal included with the Pirates Reloaded show. 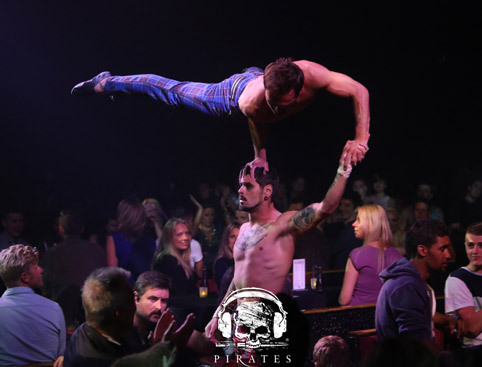 Get ready for high octane, adrenaline-fuelled entertainment at this over-18s version of the Majorca's famous Pirates Adventure show! This is the ONLY child-free zone show in Majorca, with world class acrobatics and gymnastic performances, steamy dance routines and a saucier script with innuendos galore. Free beer, sangria, soft drinks and mineral water will be flowing all night, along with a live DJ and VIP after-show party! Get (ship)wrecked and out of your skull (and crossbones) on a night you’ll NEVER remember - it’s the most fun you can have without breaking international law! Looking for a more family-friendly show? Take a look at the Pirates Dinner Adventure which is open to all ages. The Pirates Adventure theatre has access and seating facilities suitable for wheelchair users. The theatre is designed so that everyone has a good view of the show. However the Quarter Deck is closest to the stage and the action!